Only the most fervent fans of Reggie Yates' Radio 1 chart show could straight-facedly argue that the singles charts still matter as much as they used to. That said, it must still be pretty galling for a pop act to discover that their comeback single has entered the charts at Number 47. It must be especially galling when that comeback single is a pop song extraordinaire - packed with hooks, instantly appealing and addictively replayable. 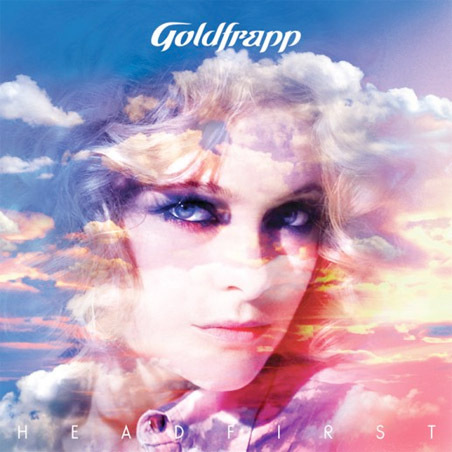 But that's precisely what happened earlier this month to Goldfrapp's Rocket, the first single off their fifth album Head First. Purchasing Head First from Amazon helps support Album of the Year. Or consider a donation? Video: Goldfrapp - "Ocean Feat. Dave Gahan"